Michael Ketterer has wowed America’s Got Talent judges and viewers since making his debut on the show. 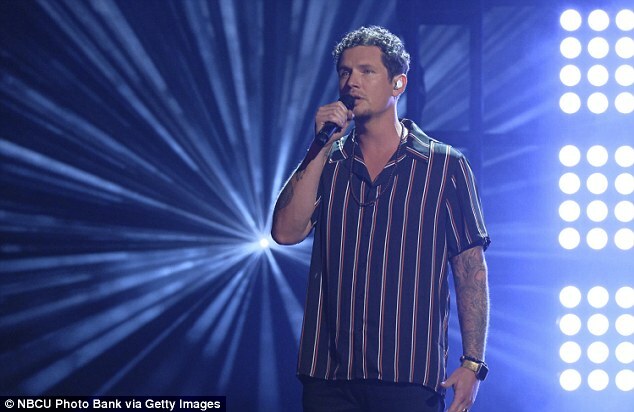 During a recent episode of the 2018 season, the Knoxville, Tennessee native brought Simon Cowell to tears with his powerful performance of James Bay’s song, Us. Addressing Michael’s role as a father of six, four of whom he rescued and one who’s sick, Simon said: ‘As a dad I kinda get…I couldn’t…I can’t imagine what you’ve done. The pediatric mental nurse saved three of his sons from an insalubrious meth lab and saved another from homelessness. Another of his five children has been diagnosed with cerebral palsy. After listening to Michael sing and share his story in the audition rounds, Simon used his golden buzzer to keep him in the competition for the long haul. Want to know more about America’s Got Talent singer Michael Ketterer? Here’s what you need to know. Michael Ketterer is a pediatric nurse and part-time worship leader originally from Chattanooga, Tennessee. He attended South College, where he got his nursing degree. While attending college and living in Knoxville, Tennessee, Michael got involved with the Christian music group, United Pursuit. He started making music with the group, which can be found on their YouTube page. He now lives in California where he’s raising a family of six. He’s said of the $1 million America’s Got Talent prize: ‘If I win that million dollars, I’m going to invest in a home for our family because, you know, my son has cerebral palsy, and…we need a home that’s handicap accessible for him,’ he told USA Today. Michael is part of a band called Influence Music, based out of Influence Church. Their debut album, Touching Heaven, came out on May 25. Michael Ketterer is married to a woman called Ivey. It’s unclear how long the pair have been married, but an Instagram post from Ivey suggests they’ve been a couple for more than two decades. Michael Ketterer has six children, five of whom are adopted from foster care. Three of his five boys were found in a meth lab and one was homeless. His sons are called Jared, 12, Chase, 11, Rodrigo, nine, Jeriah, eight, and Shawn, eight. Michael and his wife also have a biological daughter called Sofia who’s 17. Sofia is a big part of the reason Michael and his wife decided to adopt their boys. Michael told USA Today his daughter used to have dreams of three boys in a harrowing situation. ‘She would wake up and she would be like, “When are we going to adopt my brothers, my brothers?” And she was really fixated on getting these three little boys, and…when your daughter keeps telling you things like that, you start to listen, like, “Why does she keep having these dreams”?’ He said. Michael continued: ‘I feel like my eyes were opened up because I always thought of adopting a kid from like another country or out of a bad situation, so if I thought of adopting, that’s what immediately comes to my mind. The agency contacted Michael and his wife about three boys, just like his daughter’s dream. The children had been found inside a home serving as a meth lab and were in need of adoption. Sean came next. He had been homeless prior to his adoption. Rodrigo, or Rody as he’s known, was second to last for Michael and his family. He was unable to communicate at the time. ‘Rody, when we first got him, he couldn’t talk, and he couldn’t speak, because he was a shaken infant. He was abused by his caregiver, and that’s what gave him cerebral palsy,’ Michael told ET Online. If Michael wins America’s Got Talent, he hopes to use the money for a more accessible home for Rody. He told USA Today: ‘He has the capability of using his walker around, but we just don’t have the space for him to be able to do that. He’ll do it while he’s at school, but I want him to be able to do that at home, so absolutely, 100 per cent, I would invest in a house with that money. 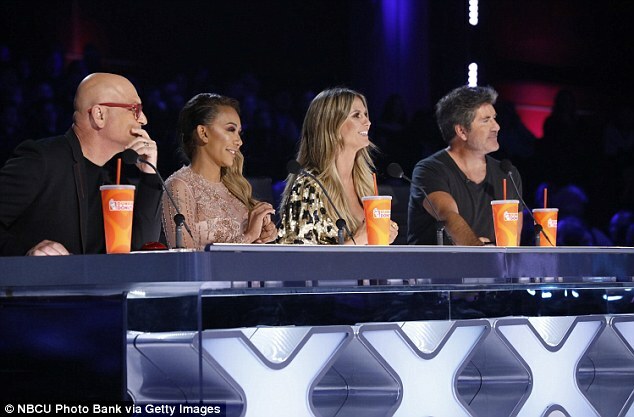 To vote for your favorite on America’s Got Talent, you must visit the show’s website or use the America’s Got Talent app. Vote is closed until Tuesday, September 4.